Maddy gets such a heavy crop from her 'Own Root Stock' peach tree growing under glass that this year she made peach jam. Some years ago Achim Ecker from ZEGG ecovillage gave me some peach stones from his own root stock (i.e. ungrafted) peaches. He told me that they are resistant to peach leaf curl, grow 'true' and they fruit every year. He has planted many trees at ZEGG and many of them yield big peaches. I put them in compost and a few sprouted. One I planted in my greenhouse and Tim espaliered it. Another I planted outside. The espealier peach is a heavy cropper and loves it under glass. This year, after Tim had pruned back the foliage (it grows so well it can shade out the flowers), I had a crop of 60 peaches. Fortunately, they don't all ripen at once. The peach outside is in reasonable shape and had a few peaches but nothing like the espalier under glass. We do not get the hot, dry summers that ZEGG gets near Berlin but then we have mild winters too. This summer has been very wet but the peach has stood up to the weather and has a little peach leaf curl (a fungus that can kill a tree). I never spray, even with Bordeaux mixture, as I believe that if a plant doesn't want to grow in my garden I should plant one that does. There is plenty of choice. The peach under glass has proved so fruitful that this year I had a glut. We have been eating peaches on muesli for breakfast and peaches and ice cream and we gave some away too but we still had too many so I decided to make peach jam and appreciate the fragrance of this exotic fruit in the winter. I may also give a little bit away at Christmas as gifts. The jam is easy to make. The time is taken by peeling and cutting the fruit but really it is a pleasure. Rinse the peaches, then halve them and remove the stones. Cut the fruit into small pieces. Place the diced peaches, lemon juice and zest and a pinch of salt into a large stainless steel preserving pan with the sugar. Leave for a few hours until all the sugar is dissolved. Then bring to the boil for 15 minutes. Then turn the heat down a little and boil until the jam has reached setting point. Either test with a thermometer or place a teaspoon of the jam on a cold plate and see if develops a skin (and don't be hasty as it needs to reach setting point or it will be runny). You could try making peach and vanilla jam. Add 1tsp vanilla paste or the seeds of 1 vanilla pod to the jam, once it has finished cooking and is cooling. Stir well. This time the peaches were so aromatic that I simply made peach jam. 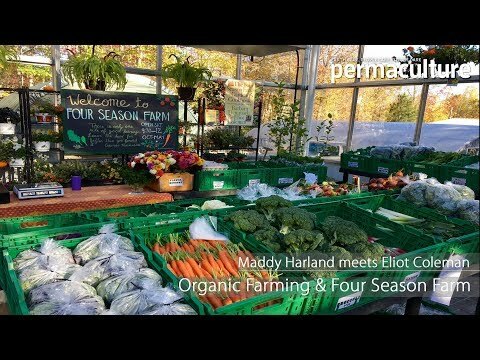 Maddy Harland co-founded and edits internationally acclaimed, Permaculture magazine – practical solutions for self-reliance. You can get free appnana generator from here http://nanahack.co without downloading any file or something.